Freshwater fishing tackle, specifically bass fishing tackle, consists of many different items. 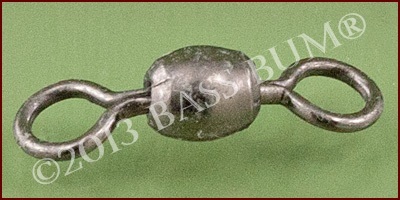 Primarily, bass tackle includes rods, reels, line, swivels, and hooks. Lures, to me at least, are a separate category falling outside the concept of "tackle". 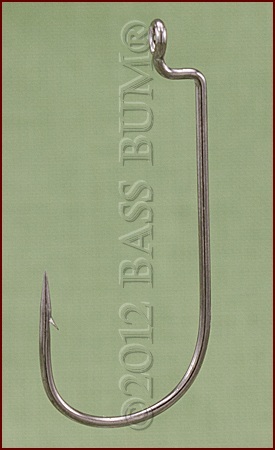 The rod combined with a reel is the "rifle" of the bass angler. This combination is what delivers your lure (bullet if you will) to the target. Just as rifles come in all shapes and sizes for different applications and different size ammunition, so do rods and reels. The rod an angler chooses is dependent on the size fish he/she is after. The rod one uses for crappie or bluegill is not the same an angler would use for bass. The type rod one uses on a lake is different than what might be appropriate when fishing "skinny" rivers, full of cover and with banks lined with overhanging plant growth. An equally important consideration when choosing a rod is the size and type lure to be used. Trying to cast a lightweight crankbait on a heavy action worm rod is going to be frustrating at best. Correspondingly, casting a 3/4-ounce lure on a light action rod can result in broken tips. I speak from experience. Bass fishing tackle includes baitcasting, spinning, and spincasting reels. 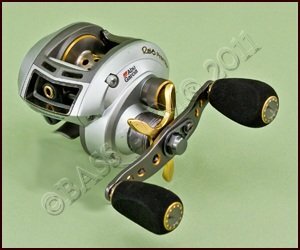 Baitcaster have long been the workhorse reel for large freshwater fish, including bass. Spinning reels on the other hand have been the tool of choice for more finesse situations when small, light lures were used. Spincasters are a sort of hybrid spinning reel. There are distinct operating differences between these type reels. Important aspects of reels are spool size, weight, gear ratio (the number of times a spool makes a complete revolution with one complete turn of the handle) and number of ball bearings. Additionally, quality baitcasters are equipped with a braking system and spool tension adjustment, the latter controlling how fast line leaves the spool. 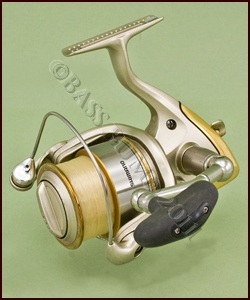 Batcasting reels have been notorious for the difficulty in learning how to successfully cast with them. An angler skilled with a baitcasting reel is usually better able to control the accuracy of his/her cast than is someone using a spinning reel. Because baitcasters have "revolving spools", this control is accomplished by the angler gently pressing their thumb on the spool controlling its speed and stopping its flight at the target. Baitcastin reels are "seated" on top of the rod so are positioned to accommodate thumb control. Unfortunately, baitcasters are regularly cursed for their propensity to "backlash". This is caused by "spool overrun" and results in what is called a "birds nest". A "birds nest" is an aggravating tangle of fishing line in the reel that completely jams it up. Top quality reels will come equipped with a magnetic anti-backlash device to mitigate this. Don't think for a minute they won't still backlash so pay attention to your thumb pressure when casting them. There is a fix and a prevention for backlashes discussed in types of fishing reels. Spinning reels developed with "light" applications in mind but have evolved into reels appropriate for more robust applications and have assumed a more prominent position as part of bass fishing tackle. 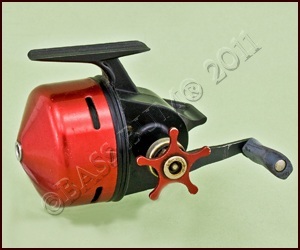 Unlike baitcasters, spinning reels function with a "fixed spool" and a housing device with a "pick up" bail that revolves around the spool as the handle is turned. Thus, the name spinning reel. At the same time, the spool oscillates slightly up and down on its shaft causing even distribution of line over the reel. An angler casts a spinning reel by opening (lifting) the bail which puts the reel in "free-spool" so line can leave the spool when cast. 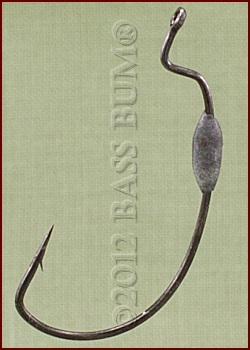 The line is held in the crook of the first joint of the pointer finger then cast while simultaneously releasing the line. Once the lure hits the water the bail should be "closed by hand". If you merely turn the handle to engage the reel you may well throw loops into you line which will cause problems on your next cast. The size of spinning reel spools varies greatly from model to model and is something to consider when purchasing a spinning reel. Longer spools hold more line and facilitate longer casts. By the way, many manufacturers provide spare spools with the primary reel. When on the water this spare can be very handy backup component to your bass fishing tackle. These reels also have a "fixed spool". However, it's completely enclosed within a metal cone housing with a small hole in the tapered end from which line escapes the reel. These reels have push buttons that function to release line when depressed by the thumb. The angler depresses the push button, makes their cast while releasing the push button allowing line to leave the spool. When the handle is turned the reel is engaged and line can be retrieved. Spincasters are positioned "on top" of the rod, not below it as are spinning reels. These are often used by young children and beginning anglers. However, one of the Bass Bums™ has used these as his bass fishing tackle all his life and does exceedingly well with them. A fly reel as a part of bass fishing tackle? Catching a bass on fly fishing tackle is a hoot and if you've not tried it you're missing a terrific experience. Fly reels are very simple in their design and functionality when compared to baitcasters and spinning reels. They are primarily intended to hold line, not cast or retrieve it. It's not unusual for an angler to bring in a fish by merely "stripping" line through the rod without engaging the reel at all. There are three type of fly reels. The first is the "single action" reel. This has a one-to-one ratio winch, which means the spool turns one complete rotation with one full turn of the handle bringing in one full wrap of line. The second type is a "multiplier reel" which brings in two or three wraps of line with "one" complete turn of the handle. 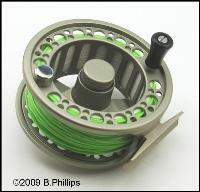 The third fly reel is the "automatic" reel. These are heavier than either of the other styles and have inadequate drags or no drag at all. The popularity of automatic reels, which developed many years ago, has declined steadily over the years. A very good development in fly reels, especially where fly fishing for bass is concerned, is the "large arbor" single-action reel. Is a fly reel just a simple "line holder" or a device that can determine your success or failure in landing the bass of a lifetime? Visit types of fishing reels and draw your own conclusion. Since your line is your only connection to the bass it can arguably be considered the most important part of your bass fishing tackle. Don't ever assume, despite manufacturer claims, that there is any one line "good for all applications". It just isn't so. 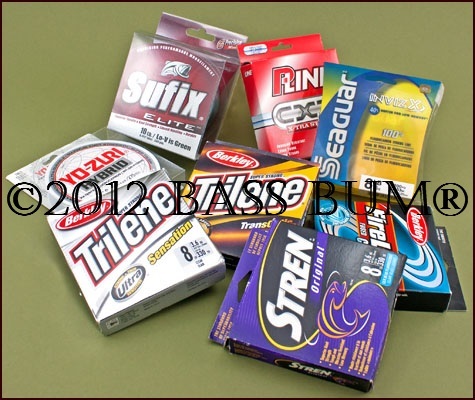 There are monofilament lines, braided lines, fluorocarbon and co-polymer lines manufactured today. The wide choice is confusing and can make correct line selection for the correct application difficult. Each type line, even each monofilament line, has different properties and anglers should familiarize themselves with these differences so they combine the correct line with their rod and reel combination's. To often bass fishermen use line for bass fishing tackle that is to heavy, to thick and to stiff for what they really need. When choosing a line consider line diameter, degree of stretch, color, amount of stretch, pound test and abrasion resistance. Companies classify their fishing lines by their thickness (diameter) and strength. The former is measured in hundredths and thousandths of an inch, sometimes even thinner. The latter is classified according to the number of pounds the line can hold before breaking. This is referred to as "pound test". The rule of thumb is to pick the lightest pound test that will handle the cover and structure conditions and size bass you're after and, of course, that properly meets the ratings of your rod and reel combo. Lighter line will cast further and easier than heavy, thicker line, but it can't usually stand up to abrasive conditions. As far as bass fishing tackle goes hooks appear to be very simple devices do they not? 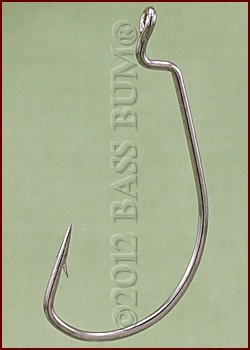 This is deceiving as there are many different types and styles of hooks for many different applications. As there is no one line for all circumstances there is no single hook either. Hooks styles are different in their size, weight, style, shank length, fine wire or heavy wire design, hook eyes, straight or wide gap and whether they're single or treble. Even the points (tips) are available in different configurations. Why do manufacturers produce so many hook choices? It's not a ploy to "catch anglers", unlike many lures that are produced. 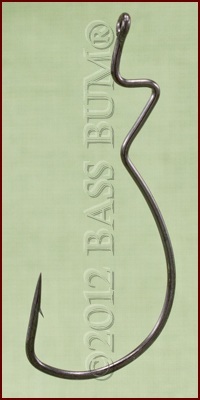 Hook designs are usually the result of meeting a need of fishermen. Many of the new designs contribute greatly to the combination of gear and technique that will help bass fishermen catch more bass. Such a small, unexciting little device. "Do I really need them as part of my bass fishing tackle? ",you ask yourself. Yes and no is the answer. There are indeed times when a swivel between line and line or line and lure are called for but they're not necessary many times as well. Some anglers find them absolutely necessary, others have no use for them at all. There are several primary styles. All are intended to prevent line twist, a particularly aggravating consequence with some fishing techniques. Without them the twist can result in knots, which are inherently weak spots, forming in you line. When swivels are used the lure or bait is allowed to spin or twirl and the resulting twist is absorbed by the swivel. Each has its place. Bottom line with swivels? 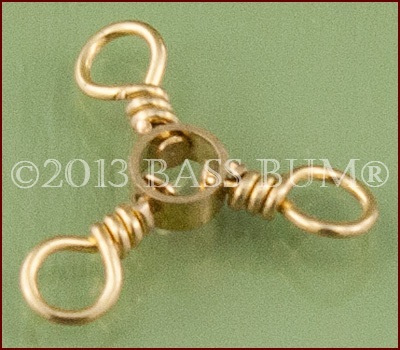 They are inexpensive, even the best of them, and they may well prevent you from missing the bass of a lifetime. Spending a few bucks for them is a small but sound investment in your bass fishing tackle that can contribute to you catching more bass. As you can see, bass fishing tackle has several components, each of which functions with and is dependent upon the other. If they're mismatched your results may not be what you hope for. Take the time to learn about each of these components and how they work together before making a purchase. Fluorocarbon Line - Really As Good As Everyone Says? Superlines, What Are They Really? Fish Hooks - There Is Much To Learn! Are You A Fishing Tackle Gear Fanatic? You Need A Fishing Man Cave.